Today in Masonic History Ransom Eli Olds passes away in 1950. Ransom Eli Olds was an American automobile pioneer. Olds was born on June 3rd, 1864 in Geneva, Ohio. When he was a young boy his family moved first to Cleveland, Ohio and finally to Lansing, Michigan. In August of 1897, Olds founded the Olds Motor Vehicle Company in Lansing, Michigan. Two years later the company was bought by Samuel L. Smith a copper and lumber magnate. Smith would rename the company Olds Motor Works and would move the company to Detroit, Michigan. Smith would become president and Olds Vice President. In 1901, the Olds Motor Works factory burned to the ground. The only model that survived the fire was the Curved Dash runabout. It was from that model that Olds would build his first successful car model. Olds claimed that the fire is what made him select the Curved Dash, an almost divine providence. This story is disputed by those familiar with Olds story. It is believed that before the fire, Olds had already gotten an order for 300 Curved Dash models and that the prototype of the car was not needed to construct new versions since detailed plans already existed. That same year, Olds would go to the New York Automobile show, having a driver, Roy Chapin, drive the car to New York. During the show Olds pushed hard to make sales. One notable conversation after Chapin had arrived with the Curved Dash model was between Olds and a dealer. The dealer placed an order for 500 cars, Olds would say to him "I would like to see you make this order for a thousand cars. Then the public would drop its jaw and take notice." Olds was correct, although the dealer would only sell 750 of the 1,000 cars, the number that everyone remembered was the original order number of 1,000. 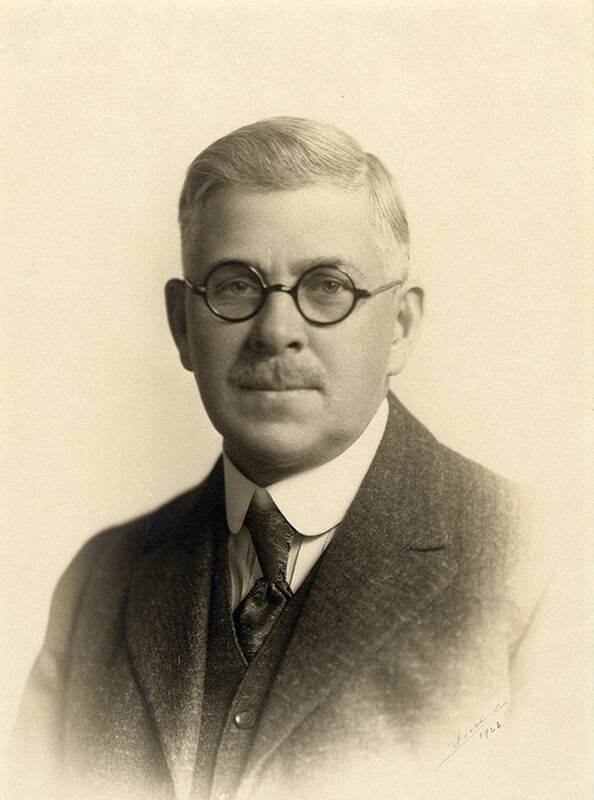 In 1904, Olds would leave the company he started when Samuel Smith's son, Frederic joined the company and eventually removed olds as the Vice President and General Manager. The Olds Motor Works would be bought by General Motors in 1908. The Oldsmobile brand was discontinued by General Motors in 2004, a 96 year run. Olds would start a new company after leaving the Olds Motor Works in 1904. He would start R.E. Olds Motor Company. He would change the name after a lawsuit was threatened to REO Motor Company. REO being Olds initials. Olds would be president of the company until 1925. Although Henry Ford is credited with he Assembly line, it was Olds who pioneered the idea of an assembly line. Ford added the idea that the line should be moving to manufacture the cars. The idea, which he started using at Olds Motor Works took the 1901 cars assembled from 425 to 2,500 in 1902. Other businesses that Olds started were the Capital National Bank, which was later called the Lansing National Bank and the Michigan National Bank. He was the primary Financier of the Olds Tower which when completed in 1931 became the tallest building in Lansing and still holds that title, although the name has been changed to the Boji Tower. Olds passed away on August 26th, 1950. Olds was a member of Capitol Lodge No. 66 in Lansing, Michigan.